If this reviewer were writing in the language of homiletic papal arengae, she would note that until very recently, although the potential harvest from the field of Honorius III studies was great, there was a relative dearth of workers, particularly in comparison to the ink lavished on Honorius' more famous and contumacious predecessor and successor: Innocent III and Gregory IX. However, building on the work of Brenda Bolton and the late James M. Powell, recent articles, monographs, and editions by Viola Skiba, Pierre-Vincent Claverie, William Duba, Christopher Schabel, and Thomas W. Smith, among others, have rehabilitated Honorius III's reputation. May critical editions of Honorius's sermons and the registers of and surviving papal letters from his pontificate soon follow. 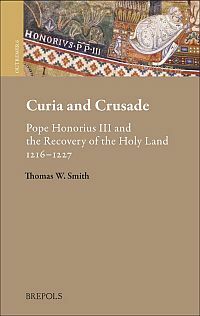 The strength of Thomas Smith's book lies in his theoretical contextualization of Honorius's papacy within both papal and crusade studies. Using a trifold chronological, thematic, and comparative approach, Smith queries to what extent popes took the initiative in formulating and implementing a defined crusading policy. He concludes that there is little evidence for a "coherent" papal policy on most matters which came before the curia: the majority of surviving copies of or enregistered papal letters reflect a responsive rather than mandating papacy. 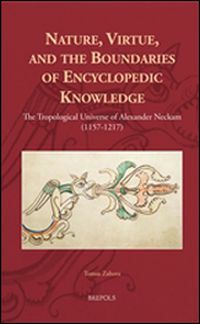 Smith's approach reflects ongoing debate within the field of crusading studies, where proponents of the theory that it was papal authority which underwrote, defined, and drove the launching of multiple crusades have recently and repeatedly been challenged by an alternative model which calls for the acknowledgment of the influence of other groups on the formation of the theory and praxis of the crusading movement. Many scholars of papal government have similarly urged the substitution of a model of "responsive" papal government for the outmoded notion of a hegemonic "papal monarchy". Smith concludes that Honorius took few important crusade decisions when not interacting with lay powers, whose petitions, supplications, and diplomatic entreaties provided the impetus for papal decisions and whose support and participation was crucial to any crusading effort. We could perhaps extend this conclusion to Honorius's handling of local churches' needs and desires, the sponsorship of new religious orders including the mendicants, and other weighty matters. Responsiveness did not mean that Honorius was a doddering, indecisive pope; he was "simultaneously conciliatory and forgiving" and a "professional diplomat" (344). Smith begins with an up-to-date and insightful biography of Honorius III. He considers how Honorius III's career as a longstanding member of the papal curia influenced his reactions to the policies of his predecessors (notably Innocent III) and Honorius' self-representation through artistic patronage. The following chapter on the papal chancery examines the ways in which papal "policy" proved ever protean and reactive, not proactive (16-17). Rather than portraying the papal curia as formulating, developing, implementing and directing policy, the impact of petitions and other external inputs on crusading "policy" (as well as internal inputs such as consultation with the college of cardinals) must be considered. The hard evidence for such requests, which were not enregistered in Honorius's period (and were often accompanied by lost oral messages), comes in their incorporation into the narrative portion of papal letters and in surviving formularies written to help petitioners codify their requests in acceptable language. The impression given is one of a papal curia buzzing with petitioners and proctors, and Smith also rightly notes the issues posed by surviving registers of papal letters (only a small portion of total epistolary output was registered) and the logistics of medieval communication; time-lags between the writing and reception of papal letters and the letters of petitioners and Honorius' informants in the field were often significant. This meant that popes were often dependent on the ability of lay leaders, legates, preachers, and prelates to respond to events on the ground rather than attempting to control every strategic or logistical decision of a given crusade campaign. Smith also examines the interaction between papal diplomacy and lay powers using three test cases: the leadership of Andrew II of Hungary during the Fifth Crusade, and that of Frederick II during the Fifth Crusade and the Imperial Crusade. Here Smith provides an up-to-date reappraisal of the actual and envisaged crusading role of Frederick II, something sorely lacking in scholarship published in English. While historians have interpreted Honorius's letter of early 1217 as proof that Frederick was envisaged as the Fifth Crusade's initial leader, Smith argues that Andrew II was angling for the leadership of the Fifth Crusade with papal support (113). Smith also provides a useful reassessment of the roles played by the papal legate Pelagius (who he characterizes as trusted and esteemed by Honorius III and his informants Oliver of Paderborn and Jacques de Vitry) and John of Brienne, titular king of Jerusalem, who he concludes "marked his card" at the papal curia through his ill-fated pursuit of personal ambitions in Armenia (151-2). 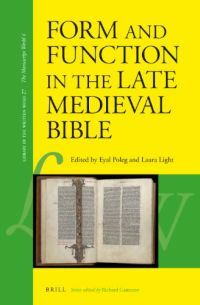 The focus here, as in other chapters, is on the responsive nature of papal government: departure deadlines, recruitment efforts, the collection and disbursal of crusade funds, and papal negotiations with Frederick II were all readjusted in response to information from the crusading army. Honorius might have been able to "order" John of Brienne to return to the crusading army in Egypt, but persuasion, negotiation, and compromise were essential to enable the eventual departure of Frederick II. While Smith characterizes the negotiations between pope and emperor as largely driven by Frederick, he notes that Honorius extracted significant concessions from Frederick and that there was significant evidence of the emperor's sincere preparations for a crusade to regain the throne of Jerusalem (which Frederick had claimed with Honorius III's support). Part three analyzes the means Honorius utilized to support the crusade, including recruitment and persuasion via papal arengae, the spiritual and diplomatic direction of the crusade via legates, and taxation. Smith argues that the sermon-like arengae of papally issued crusade appeals provide glimpses of the crusading theology of a particular pope (or those who advised him in drafting the arengae), and that crusade letters were often used to stir their recipients into the organization of preaching and recruitment for the crusade and were commonly read out verbatim by crusade preachers for that very purpose, ensuring a wide audience. 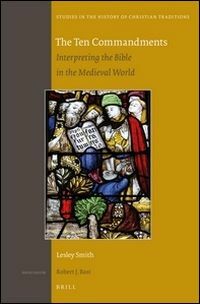 Citing recent analyses of Honorius III's and Innocent III's sermon collections, Smith argues that Honorius' theology in general (and of crusading in particular) ought to be viewed as deliberately distinct from that of his papal predecessors and successors. Two elements which could be further fruitfully investigated are: the potential influence of cardinals, particularly those educated in monastic and Parisian circles, on the biblical exegesis showcased in the papal arengae, and the actual utilization (or not) of these arengae in surviving crusade appeals. Smith's reappraisal of the role of Pelagius and other papal legates is also adroit and in-line with his focus on responsive papal government and the ways in which popes relied on delegates for essential diplomatic and disciplinary functions. Similarly, Smith's treatment of Honorius' attempts to collect and pay out crusade funds in a responsive manner stresses that Honorius's approach was a flexible one which combined attempts at centralization with delegation, where needed, to decentralized collection and disbursal. The grant of crusading twentieths and other funds collected to individual lay powers and/or prelates and even to non-eastern campaigns (such those in the Iberian peninsula, Livonia, and the Albigensian crusade) should not be viewed as signs of papal decrepitude or indecisiveness but rather as evidence of willingness to experiment with forms of collection, transport, and paying-out which were tailored to the needs of various crusade contingents setting out on campaign and the requirements of crusading armies in diverse theaters. As Smith rightly concludes, Honorius III's legacies included modifications in the collection of the taxes for the crusade which assisted the formation of "centralized financial machinery"; the launching of the only crusade which successfully recovered Jerusalem (albeit by treaty) in the thirteenth century; and deft handling of Frederick II. Ironically, as one of his first acts as pope, Honorius' successor Gregory IX (himself the subject of a recent scholarly renaissance), would almost immediately excommunicate the would-be crusader Frederick II for turning back to port (Frederick pleaded serious illness), leading to a long-lasting and damaging papal-imperial conflict which undid many of Honorius's efforts towards papal-imperial collaboration.